Deep within God's Word lies a wondrous story like no other. A drama that originated before time began. An epic saga that resonates with the heartbeat of God. A story that reveals nothing less than the meaning of life. 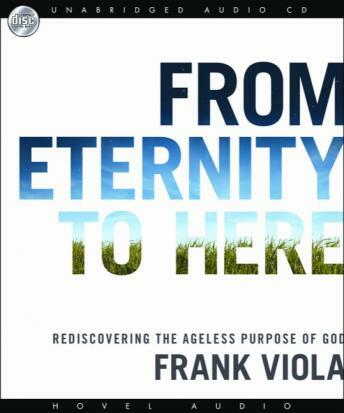 // From Eternity to Here presents three remarkable stories spanning from Genesis to Revelation. Each story traces a divine theme that is woven throughout Scripture. Seen together, they offer an extraordinary glimpse into God's highest passion. What you discover will forever change your view of life, the church, and our magnificent God.